Personalise your Pip & Cherry design with our selection of lovingly crafted appliqué letters and pictures designed to form The Pip & Cherry Alphabet. Originally created from handpicked British vintage fabrics and now digitalised to offer a beautiful, safe, and affordable handmade heirloom. 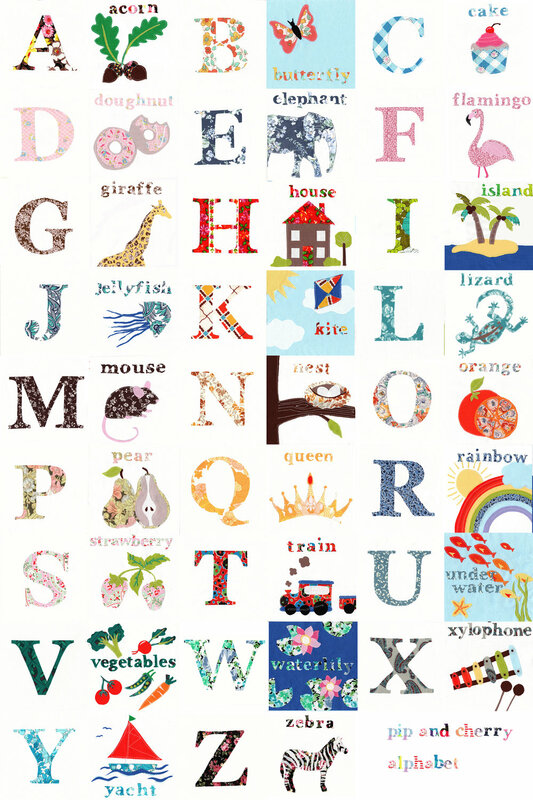 Click below to look at my shop to see all the different ways you can use my Alphabet.